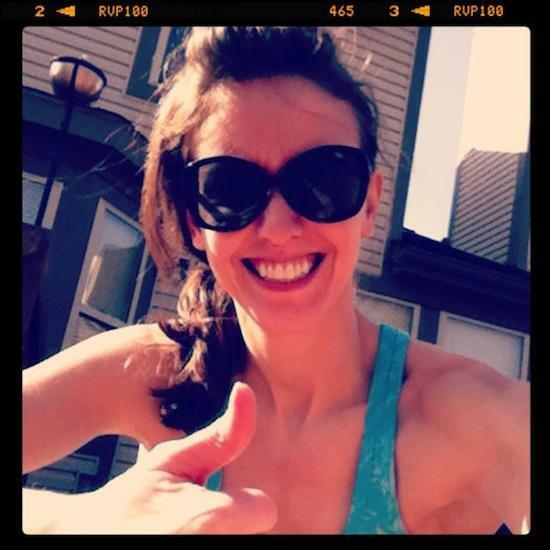 Let’s talk workouts today, shall we? 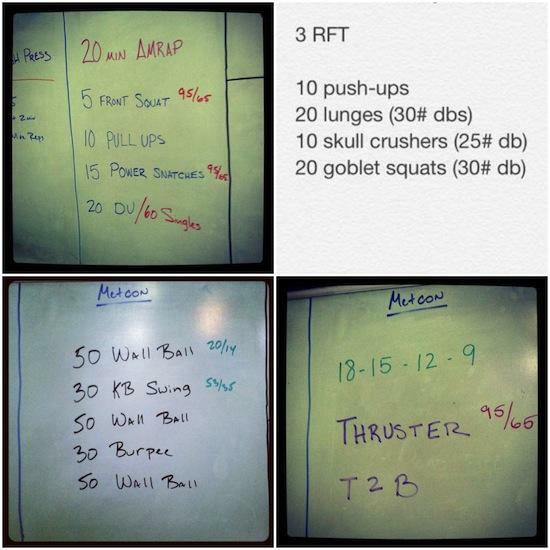 Here’s are some of the WODs I’ve done the past few weeks! Workin on those butterfly pullups! 1. There’s nothing good about 20 minute AMRAPS. 1. Good one! Front squats, then 6:27 for the #wod with 75# snatches. 2. 6:51 for the second part, forgot to count my rounds for the first part. 3. Lots of walks with the boys, as usual. 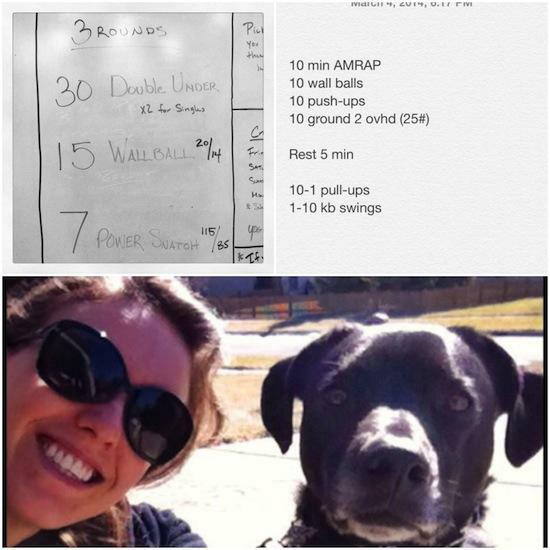 Then, for those of you who know a little about Crossfit….The Open started a few weeks ago. 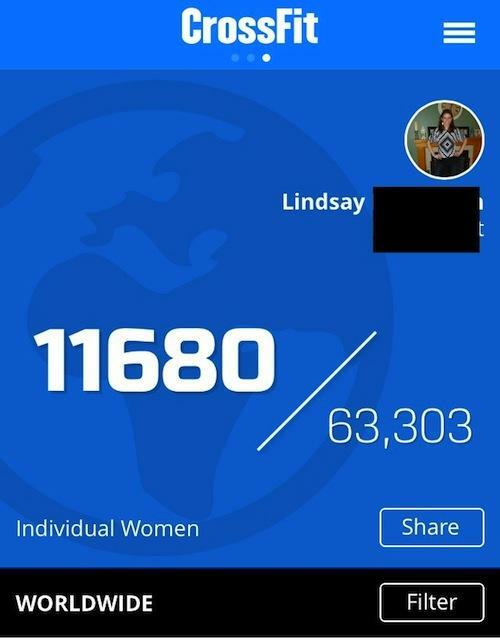 Basically they release a new workout each week for 5 weeks and thousands of people all over the world do the same WOD and submit their scores. At the end of the five weeks, the top scores go to Regionals for a chance to qualify to go to the Crossfit Games. Obviously, that’s not my intention, but it’s still super fun to compete in the Open. You had 10 minutes to get as many rounds as you could of 30 double unders and 15 snatches (55 pounds for women). I like double unders, I don’t like snatches. Luckily, the weight was light enough that it was manageable for me. I ended up completing 5 full rounds + 27 of the double unders for round 6 for a total of 252 reps. I did the workout on Friday (they’re announced Thursday night and you can do it as many times as you want from Thursday night – Monday night). I had planned to redo it on Monday to see if I could improve…but ended up not feeling well that day. It worked out though…I was happy with my score! 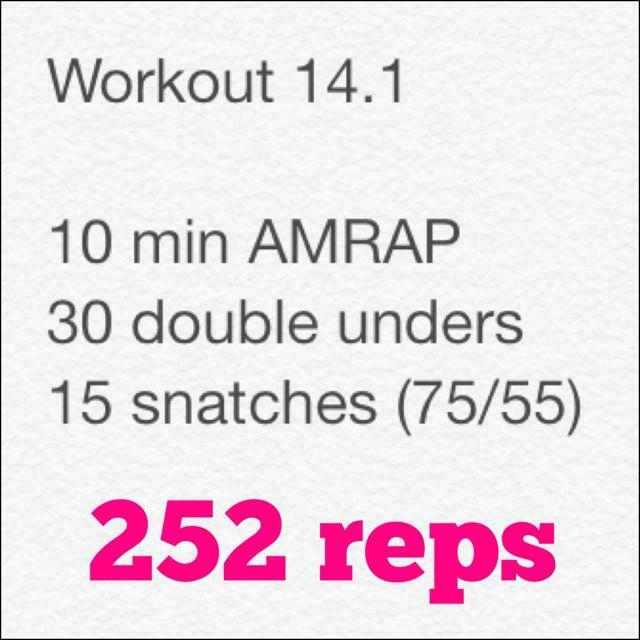 14.2 was TOUGH. I love overhead squats so I was happy to see them, but chest to bar pullups are HARD. Basically, for this one, you had 3 minutes to do 20 overhead squats and 20 chest to bar pullups. If you finished under 3 minutes, you rested the remainder of the time. If you finished round 1, you started again at the 3 minute mark and had another 3 minutes to do 24 overhead squats and 24 chest to bar pullups…and so on. You kept going every time you successfully finished a round, adding reps to each round. I went into it unsure if I could even finish the first round. My goal was to finish round 1 and then just get as far as I could in round 2. I ended up finished with 66 reps on Friday. I felt like I could have done a little better….so I redid this workout on Monday and improved by 11 reps, finishing with 77 reps for my final score! After the first two wods I’m in 11,680th place 🙂 Doesn’t sound too impressive…but hey! That’s top 20%! I’ll take it! 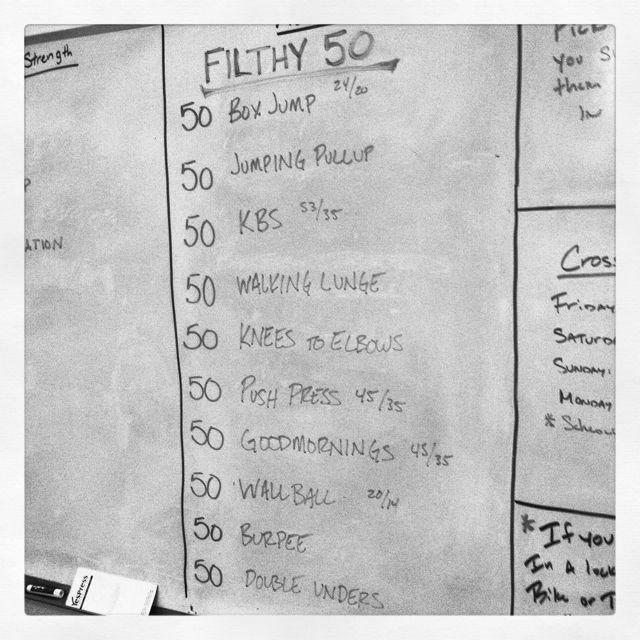 Wednesday I did the Filthy Fifty. It was brutal as always! Finished in 24:47. I rested Thursday and today I’ll be doing 14.3! Wish me luck!! So. I’ve been looking up local Crossfit boxes here (local = within an hour around. Boxes are SLOWLY popping up) and then found one and got told its $40 a class. FORTY DOLLARS. I think I’ll vicariously crossfit through you. 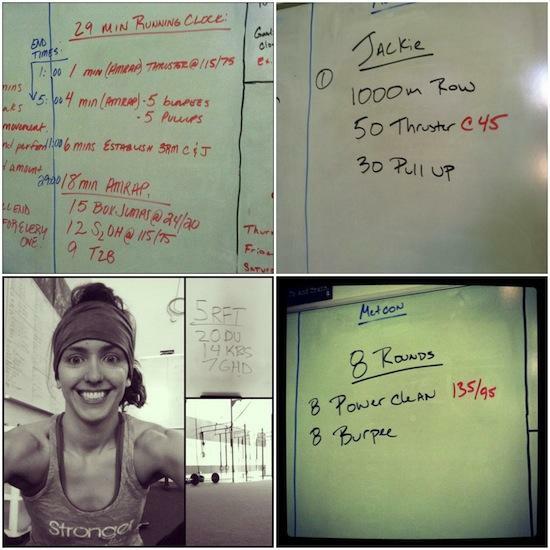 Kill the 14.3….what strange names crossfit has. Fran. Stan. Kyan. so impressive!!!!!!! you’re a beast!! Top 20% is phenomenal! Awesome job! And your pup is stinkin adorable!!! Wow, great week! I want to try a Crossfit class one day. When my funds allow me… sigh. Wow you had an awesome week! Great job! I need to try a few of these out this weekend. Great job on the workouts! I would love to try Crossfit! Top 20% is incredibly impressive! Seriously awesome! Wow – I’m impressed with your results so far!! I feel sure that I would be 63,3__ if I attempted that challenge!! You are such an inspiration Lindsay!! Oh how I miss belonging to a CrossFit box! You have improved so so so much! Please keep sharing! I like the look of that “Filthy Fifty,” though it does look quite challenging. I would probably have a take a bunch of mini breaks in there. I believe I could do the “Filthy Fifty” if I got some breathers in there lol. Looks like a great workout though!